You are currently browsing the category archive for the ‘Portland art’ category. I’ll be showing my latest encaustic paintings plus smaller originals, framed reproductions and note cards that make great gifts. You’ll also be able to register for my studio classes and buy gift cards for your friends and family. There is no charge for this event and as always, kids are welcome. Bring your friends too! 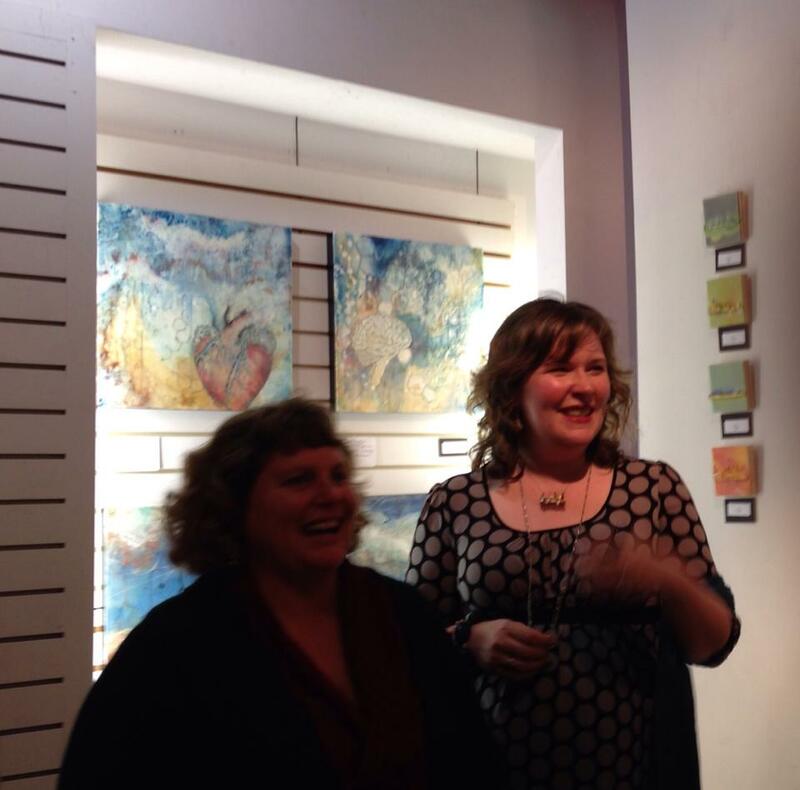 Sidestreet Gallery has evolved (and expanded) into Sidestreet Arts, a collective of 12 local artists. I’m honored to be included in this upcoming show in their small works gallery. They have a huge variety of styles and prices, making it easy to treat yourself or a lucky friend to the gift of original art. 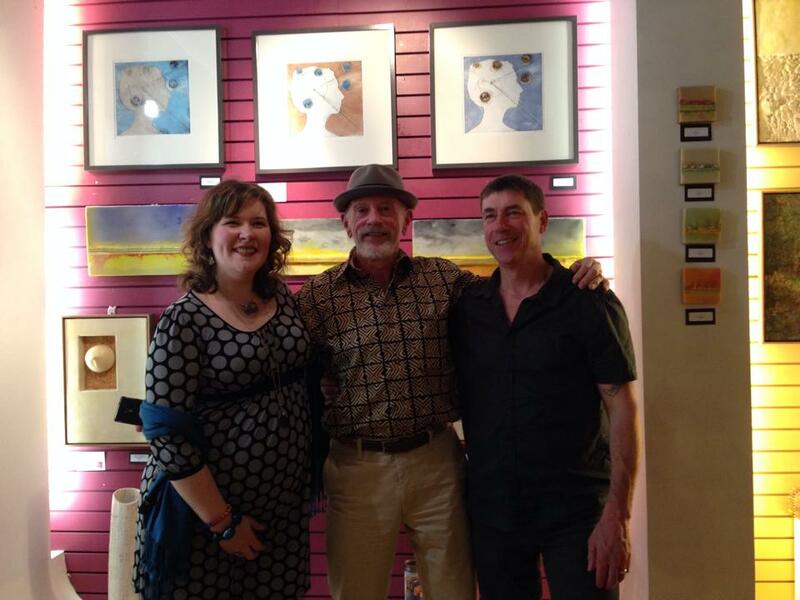 I hope to see you at the opening reception May! I just got word that I’ll be part of the 20th anniversary tour for Portland Open Studios! This will be my 6th year showing my studio and my techniques with encaustic and Mixed Media. More details soon. A big thanks to curator Chris Haberman for once again inviting me to be in The 10th Annual Big 500 Art Show, which is back at Pioneer Place this year. As many of you know my sweet studio dog Jack was diagnosed with cancer last month. The vet found a tumor on his belly that needed to be operated on right away. Within 2 days he’d had the surgery and after a few complications he is now cancer free and on the mend. I’m so very thankful that he will be OK.
Now it’s time to celebrate! I’m combining my spring studio sale with a party for Jack. Expect a big cake and wine as well as plenty of great art and some fun and unusual auction items. Jack will be available for belly scratches and photographs all afternoon. 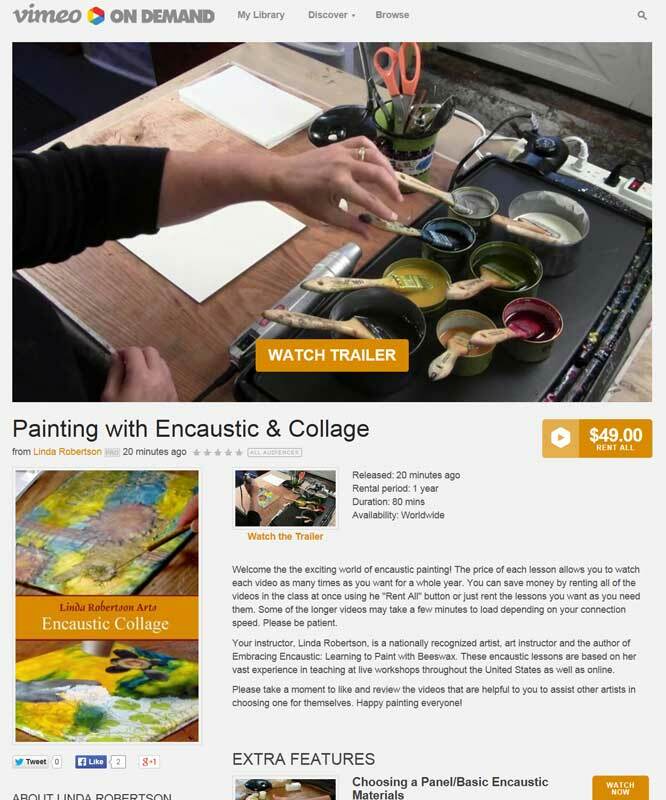 My summer encaustic class schedule is out too so come by to see what the projects we’ll create and sign up for classes (they are filling fast). It’s going to be a great summer to make some art! In college I was one of 10 artists who received a scholarship through California State University to create my work on the legendary 20 x 24 Polaroid camera. The camera was flown from New York to Humboldt State University and Program Director John Reuter helped us photograph the setups we had been experimenting with on 4 x 5 and 8 x 10 view cameras. Yes indeed, all art is only $40 so why would so many well known artists participate in an event where their art sells for so little year after year? Aside from the great fund raising part, it’s because it’s such a unique show and all about the art. All work is the same size and price and no names are displayed so your choice is simple, if you like the art BUY THE ART without concerning yourself with who made it and what their credentials might be. New collectors of original are born out of this show every year. I use these pieces to do experiments and smaller sketches for new projects throughout the year, and continue working with what I like best about each of my 10 panels. Come join me in a friendly race to find the perfect present at a perfect price! Here’s a preview of some of mine this year. I hope to see you there! 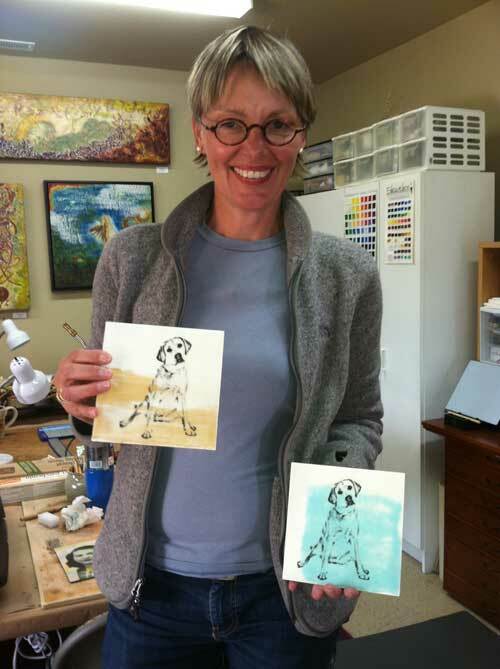 Linda Robertson offers encaustic workshops in her Portland, Oregon studio as well as online encaustic classes at RobertsonWorkshops.com . A show of my new work, along with the work of my student and friend Fred Swan, has been up for a few weeks now with a wonderful response. Fred and I will be interviewed by show Co-Curator Chris Haberman this Saturday at the gallery from 2 – 4 pm to give the audience some insight into how this show came about and how each of us interpreted the theme. In that spirit, Fred and I collaborated on a window installation by creating multiple panels of paper and wax that are thin enough for natural light to penetrate, filling the space with energy and movement. In using this thin paper we traded some durability for dynamism, but we encourage viewers to gently touch the panels and make them move. Many of the panels also have holes which allow you to peer through and experience your own spots of time. Fred and I worked in my studio to complete the panels we had each started separately, and bring them together into a cohesive concept for the show.